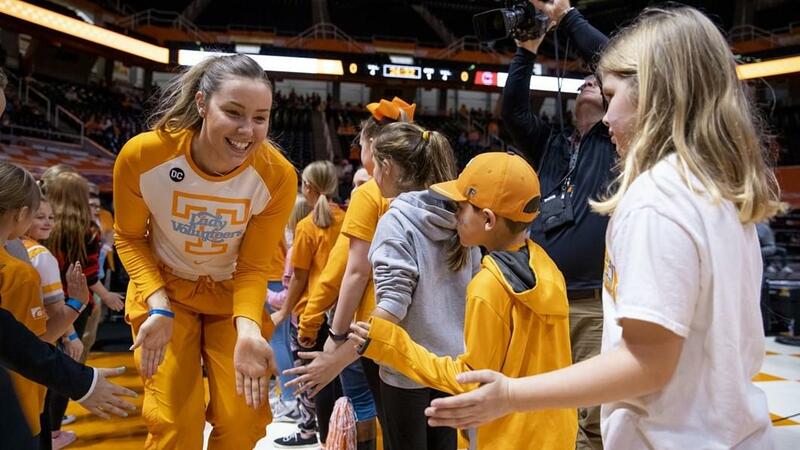 KNOXVILLE, Tenn. – Tennessee redshirt senior Lou Brown got some great news on Tuesday morning, receiving confirmation from the NCAA that her Extension of Eligibility Waiver has been approved. She is cleared to play basketball for the Lady Vols during the 2019-20 season. 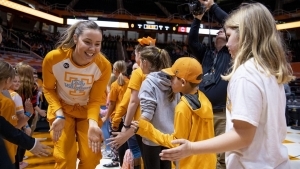 Brown, a graduate transfer from Washington State, arrived in Knoxville after the start of the fall semester from her hometown of Melbourne, Australia, on Sept. 6, 2018. She had been held up by unexpected delays in getting her student visa renewed. After a little over a month on campus, she suffered a torn anterior cruciate ligament in her right knee in preseason practice on Oct. 17, 2018, forcing her to sit out the entire 2018-19 campaign. Brown, who returned to the court Monday for offseason workouts along with her teammates, was a supportive presence at practice and games last season. Her UT family was understandably thrilled to learn that her hard work and patience had been rewarded. The 6-foot-3 forward started 71 of 95 career games at Washington State from 2014-18. She averaged 5.6 points and 5.6 rebounds while knocking down 80 three-pointers during her time in Pullman. Brown graduated from WSU in May 2018 with a degree in sport management and is pursuing a master’s degree in communications. After her 2016-17 season ended prematurely due to a foot injury while she was averaging 10.4 points and 6.9 rebounds through seven games, Brown returned to the court in 2017-18 as a redshirt junior. She started 23 of 28 contests and averaged 6.4 points and 6.0 rebounds for WSU. She was the team’s leading rebounder and fifth-leading point-producer, scoring in double figures nine times and tallying six games with double digits in rebounds. She had four double-doubles to lead the squad. Brown connected on a single-season career-most 29 threes in 87 attempts (.333) two seasons ago. She tallied her most field goals and attempts, hitting 62 of 171 (.363), and shot a team-best 78.1 percent from the free throw line (25-32). She also posted a career high for assists in a season with 49.